1.1 – Drivers must have a full, valid driving licence for the class of vehicle being used. an MSA race licence may be used as proof of competence but does not count as a competition licence for our events. 1.2 – A Competition Licence is required for every entrant; this can be purchased on the day, £5 per event or £15 for the year. 1.3 – Entries will close at Midnight on the Tuesday before each event. Entry after this time will not be permitted and cancellations will not be possible. 1.4 – Each event will have a base entry price until one week before entries close after which time the entry fee will increase by £20 for the final week. Javelin Trackdays decision on assigned class is final and all vehicles will be inspected at scrutineering to make sure they are assigned correctly. Javelin Trackdays reserves the right to move entrants into a different class at will if we feel it is a better fit to the series. 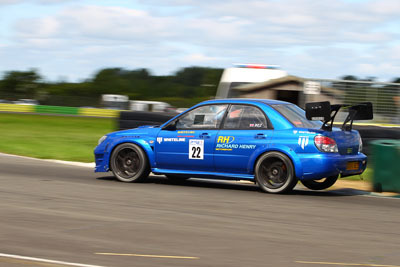 Sports Limit = Certain sports vehicles have a standard performance that is much greater than their specs would suggest on paper and therefore do not sync up with the normal class structure, it is therefore required to apply a specific rule to certain vehicles to allow for a fairer competition. Vehicles included in this limit should apply the normal class structure to their entry but cannot enter a class lower than J9 unless by prior agreement with the organisers. 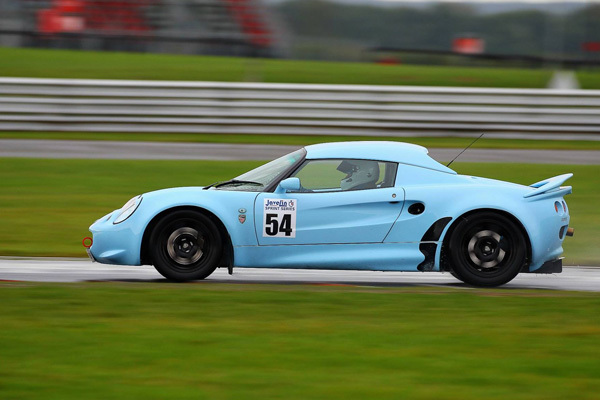 Currently the sports modifier applies to the following vehicles : Lotus based vehicles. As all other regulations except Competition Tyres are permitted. Vehicles running in the unlimited class do not qualify for championship points, overall or class awards. The top spec cars of the series. Vehicles that have had extensive modifications made in all areas that puts them at the head of the class. J8 is intended for saloon/hatchback vehicles over 210bhp as a guide but may also include lighter vehicles that have comparable power/weight. It should be understood that substantial upgrades to the turbo and engine are likely to change the performance of a vehicle more than all other modifications combined so that will be the basis for deciding the classes listed above. Spec 4 will be for the higher powered vehicles with Spec 3 for the lower powered. Road going vehicles with modifications, allowances for removing interior to fit safety devices. Must have both front seats fitted, Seats can be changed to allow harness fitting. Must have rear seats unless removed to fit roll cage. Must have car interior remaining around the driver. Standard door cards may be removed, but the inside of the door must be covered in alloy, plastic or kevlar sheet with no sharp edges. Carpet must remain. Street style body kit allowed ie: front and rear bumpers, side skirts, front lip spoilers, rear boot spoilers and rear lip spoilers. Front splitters - allowed but must not protrude forward past existing bodywork more than 75mm, and not extend more than 25mm either side of original bumper. Canards and vortex generators which are road type and do not extend past bodywork. (items should not have sharp edges and be deemed "road legal" eg: TRD front canards), no wide arch extensions or conversions etc. Vehicle should maintain the silhouette of the road going version allowing for after market bodywork additions in the same style. Carbon and FRP bonnet, boot lid and front wings are allowed. All must be securely fixed using standard catch / hinges or additional pins if deemed necessary. Must retain all glass as fitted by manufacturer. Engine or transmission conversions - may be allowed as long as long as they are carried out to a high standard and supported by suitable brake and suspension upgrades. Vehicles will be allocated a class on a case by case basis - please contact us with full details. No dog or sequential shift gearboxes allowed unless fitted as standard equipment. Headlights must remain fitted and working. Body panels may be replaced with lightweight versions but must be securely fixed. Doors may be lightened or replaced with grp/carbon versions only if a roll cage with door bars is present. Standard door cards may be removed, but the inside of the door must be covered in alloy, plastic or kevlar sheet with no sharp edges. If a vehicle does not have a roll cage that surrounds the driver, competition seat and full harness, then the standard vehicle interior must remain around the driver. ie: Dashboard, steering column covers, centre console, door panel and headlining. Carpet may be removed but there must be no sharp edges that could come in to contact with the driver in an accident. Single seater and heavy aero vehicles, not included in the overall JTSS championship but operates as a single class championship within. 3.1 – Trophies will be presented to the fastest 3 drivers overall from qualifying classes. 3.2 – If a class has 2 or more entries then the class winner will receive a trophy, if a class has 4 or more entrants then the runner up will also qualify for a trophy, if a class has 6 or more entrants then the 2nd runner up will receive a trophy. 3.3 – Championship registration is completely optional and registration requires a small fee (see website) but an entrant must be registered before an event in order to score points within it. 3.4 – Championship points will be awarded with 100 Points for 1st, 99 for 2nd, 98 for 3rd, etc. 3.5 – Event awards will be presented at the end of the individual event, championship awards will be presented at an end of season presentation at the final round. Trophies are only available to collect from the awards presentation; they will not be available after the event. 3.6 – Competitors may change their class and retain their points however all points will be applied to the highest class entered at any point of the series. 3.7 – Competitors are only eligible to score points in the vehicle they have registered for the day unless approval is given from the organisers. 3.8 - Championship points are gathered from the competitor’s best 6 results over the year. Competitors that have scored in more than 6 events can drop their lowest scores. 3.9 – To qualify for a championship trophy at the end of the year a competitor must have competed in at least 3 events and have registered for the championship. Awards are presented for the top 3 overall and the top 3 per class providing there are enough qualifying entrants. 3.10 – Class J1 vehicles do not qualify for any on the day awards or championship points. 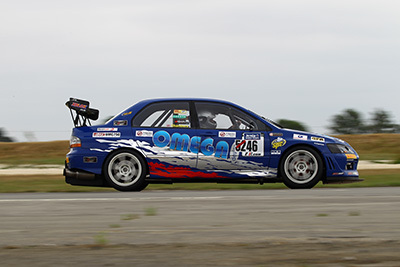 3.11 – Class S vehicles are part of their own single class championship outside of JTSS which will have trophies for the top 3 drivers on each event as well as the top 3 in the championship at the end of the year. Class S championship points will be awarded with 10 Points for 1st, 9 for 2nd, 8 for 3rd, etc. The best 6 results over the year are counted. 4.1 – Vehicles are not required to have an MOT but must be safe and mechanically sound. Road tax is not required. 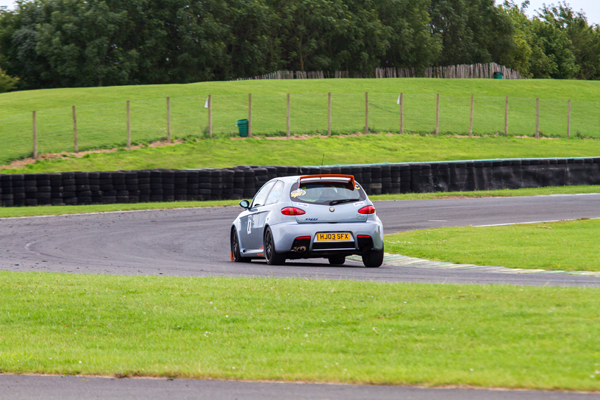 4.2 – All vehicles will be subject to scrutineering and should be fit for purpose. The driver is responsible for ensuring the car fully complies with the regulations – being passed by the scrutineer is not a guarantee that it is fault free. 4.3 – It is the driver’s responsibility to ensure that the vehicle is both safe, mechanically sound and not leaking any fluids both before and during the event. 4.4 - All competing vehicles will be provided with and will need a VSD (Vehicle Safety Declaration) which you will be required to sign before competing. 4.5 – All competitors will need to complete a CVF (Class Verification Form) stating that they comply with the class they have entered onto; this must be presented at signing on. 4.6 – Vehicles must have sufficient practical roll over protection where required. Factory fitted roll over protection is rarely suitable for competition use with the exception of a hardtop which would fulfil the minimum requirements. a). Convertible and open top vehicles in all classes must have sufficient practical roll over protection in the form of roll hoops or a roll cage or be fitted with a hard top. b). The drivers helmet must be below the level of the roll over protection. c). Class J1, J2 & J3 vehicles must be fitted with a full roll cage. d). Class JF1, JF2, JF3 & S vehicles must have sufficient roll over protection and crash structures for competition use. 4.7 – Vehicles must have no sharp edges near the driver. 4.8 – Vehicles must be free of any loose objects. 4.9 – Competitors are issued with a pair of competition plates for their first event which must be displayed as supplied on the side of the vehicle at all times throughout the event. Replacement numbers are available at extra cost; vehicles without these numbers will not be permitted to run. 4.10 – The use of Nitrous systems is not permitted. Vehicles fitted with a nitrous system must declare it at scrutineering, empty containers can remain in the vehicle providing the system is disconnected whereas non empty containers must be removed on safety grounds. Anyone found to be using a Nitrous system without the express permission of the organisers will face exclusion from the event/series. 4.11 – Any harnesses must be fitted according to the manufacturer’s instructions and must be in a good, safe condition. Harnesses must be worn correctly by the driver. 4.12 – Drivers of any open top/removable roof vehicles are advised to fit a net screen so as to keep limbs contained within the vehicle in the event of an accident. 4.13 – It is recommended that all vehicles carry at least a 1.75L fire extinguisher that is accessible by the driver and properly and firmly secured whilst in motion. a). Class J1 vehicles are required to carry a fire extinguisher unless prior exception has been made by the organiser. 4.14 - Fuel lines inside the car must be metal or braided steel and no joins will be permitted within the passenger compartment. 4.15 - Fuel systems mounted in the boot area must be separated from the passenger compartment by a firewall. Where a fuel system is filled from inside the vehicle a suitable drainage system must be in place to drain spilt fuel to the outside of the vehicle. 4.16 - Fuel – must be petrol / diesel - commercially available race fuel and octane boosters allowed. a). Spec1 - Methanol not permitted. b). Spec2 - No Methanol as a sole main fuel but can be mixed with petrol or used as part of a water injection system. 4.17 - High spec vehicles should ideally be fitted with an FIA approved cut off switch, those without should have the earth lead/negative battery terminal clearly indicated with brightyl coloured tape (ideally yellow). 4.18 - Aero additions are not allowed to protrude more than 150mm past standard bodywork. This rules does not apply to vehicles in J1 & S.
5.1 –Tyres must be road legal and have a minimum of 1.6mm tread depth throughout the event. Tyres marked “competition use only” or “Not for highway use” are not permitted. Only E marked radial tyres will be allowed. Slick and Rally Slick type tyre are not permitted unless following 5.2.
b). Suspension and brake components have been sufficiently upgraded to handle the stress such tyres would put on the vehicle. 5.3 – Tyre cutting is not permitted. 5.4 – Warming of tyres prior to the start of each run is not permitted. 6.1 – Vehicles must pass and conform to the noise requirements set out below, vehicles failing these tests will be subject to exclusion from the event. a). STATIC TEST – A maximum of 105dB at ¾ maximum revs measured 0.5m from the end of the exhaust pipe at an angle of 45 degrees. If we suspect that mechanical noise is giving a false reading then we will perform a test at 2m from the vehicle at 90 degrees from the centre. b). DRIVEBY TEST - A maximum of 92dB at 20m trackside or equivalent driveby at shorter distances. 6.2 – Any vehicle persistently back firing will be excluded. 6.3 – Anti-Lag Systems are not permitted. 6.4 – Launch Control is permitted providing it is under the noise limit. 6.5 – Any vehicle breeching the driveby noise limit will have that run disqualified and faces exclusion from the event if the problem is not rectified. 7.1 – Video and photographic equipment is allowed in car, but the installation must be securely mechanically mounted. 7.2 – No handheld equipment is permitted. 7.3 – Helmet cameras are not permitted. 8.1 – Results will be posted in a central location approximately 15 minutes after each run has been completed by all competitors. 8.2 – Results are final after 15 minutes, unless a protest is officially lodged with an event steward. 8.4 – Any competitor who hits any of the course equipment i.e. cones/blocks will be awarded a void run and no time will be recorded. Persistent offenders will be warned and may forfeit further runs if they continue to disrupt the event. 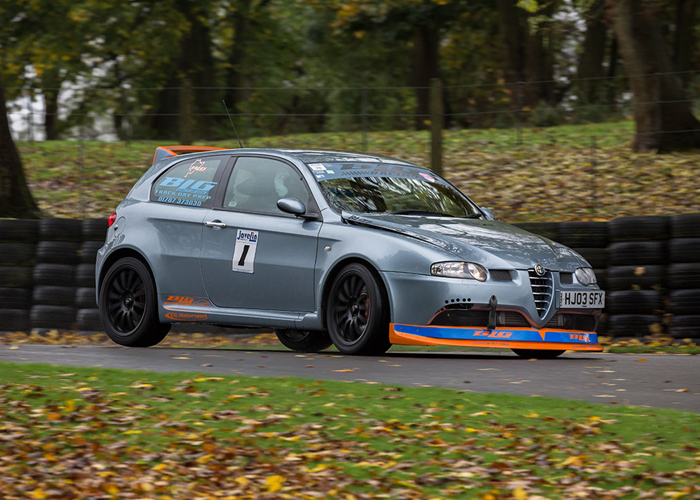 8.5 – Competitors that have been deemed to have been held up on track due to an incident or catching another competitor will be awarded a rerun, determining whether one is needed is solely down to the discretion of the organisers based on marshals reports. A rerun can only be completed during the same run. 8.6 – Competitors are required to participate in their runs in order, if a competitor does not take part in a run then that run is forfeit. 8.7 – Competitors will participate in 1 untimed practice run and then up to 6 timed runs (subject to course length, entry levels and any incidents on the day). 8.8 – If a run is not completed by all eligible competitors before the specified venue closing time due to an incident causing delay then the times for that run will not be counted for the purpose of results. 8.9 – Competitors are required to take part in each run in the instructed by the event organisers in the briefing, it is the drivers responsibility to prepare for each run on time. Anyone attempting to gain an advantage by deliberately running out of sequence (i.e. drying track) will forfeit that run. 8.10 – Warming the tyres or brakes either inside or outside of the paddock or venue is not permitted and anyone found to be doing so may forfeit runs. 8.11 – Only the driver is permitted in the vehicle during a run, passengers are only permitted during the sighting laps and only in the front seats. Passengers can only be other drivers who are signed onto the event. 9.1 – All participants are required to have their arms and legs covered when in the vehicle, we recommend participants avoid wearing non flame retardant synthetic fabrics where possible as most melt rather than burn in the event of a fire. Flameproof overalls are strongly recommended for all participants. a). Drivers of Class J1, J2, J3, JF1 JF2, JF3 & S vehicles must wear flame proof overalls. b). Flame Proof overalls should be in good condition and suitable for purpose. 9.3 – Helmets must be suitable for the activity and in a good, safe condition. Helmets with protruding chins are not permitted. 9.4 - Drivers of any open top/removable roof vehicles are permitted to wear full face helmets only and must have a visor. 9.5 - Drivers in open vehicles must wear gloves, recommended for all other vehicles. It is essential to work safely, especially when refuelling. No Smoking whilst refuelling is taking place. Petrol must be stored in suitably marked containers. Oil spillages – must be cleaned up and we advise the use of drip trays. The jacking up of vehicles must be carried out proficiently and axle stands should be used at all times. Rubbish – must be placed in bins or taken home with you at the end of the day. We aim to leave the paddock in a better condition than when we arrived. You must obey speed limits in pit and paddock areas usually 10mph. No testing, wheel spinning, donuts, showing off etc in the pit and paddock areas. Anyone found to be in an unauthorised area will face exclusion from the event. Failure to adhere to the above may get you excluded from the event. 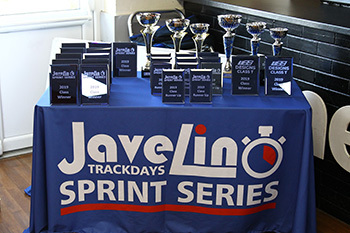 Javelin Trackdays reserves the right to amend or change these regulations as needed to ensure the fair running of the series. Javelin Trackdays reserves the right to exclude entrants from any event or series if they are found to be in breach of these regulations or conducting themselves in a manner likely to bring the series into disrepute.